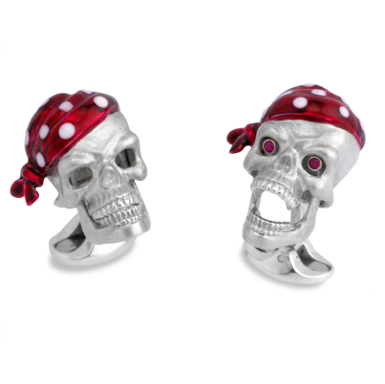 Solid Silver Pirate Skull Cufflinks. ……when the jaw drops (And it will when you see them!) Rubies appear in the eyes!